At 2:09 p.m. Bedford County 911 dispatchers received a call from a motorist reporting a red SUV being operated in a reckless manner traveling east on 460 in the New London area. A Bedford County Sheriff’s deputy was in the area and observed the suspect vehicle. 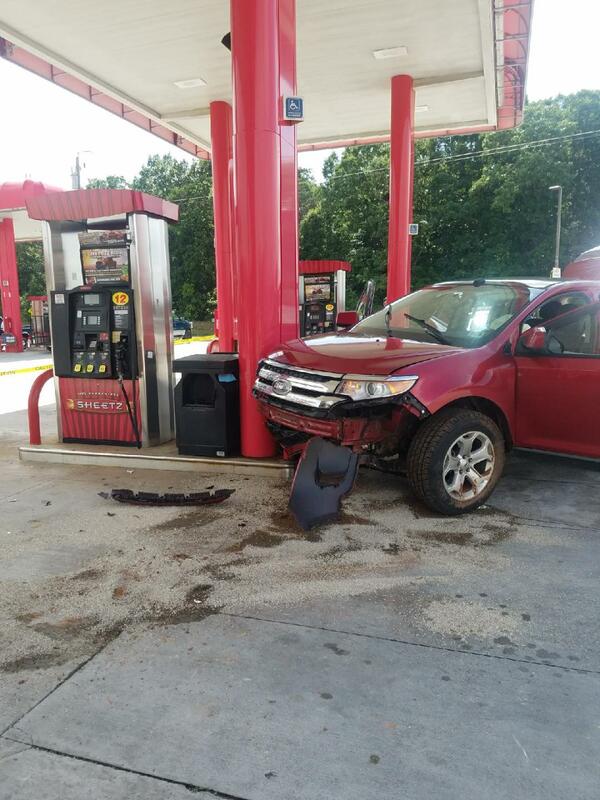 When the deputy attempted to stop the vehicle, the black male operating the SUV drove off 460 up the bank onto the Sheetz parking lot and ran into the concrete barrier protecting the gas pumps. He then exited the vehicle and fled on foot. The black male was last seen wearing a black shirt, black pants and blue shoes and was crossing 460 behind the New London Elementary School. The red SUV was reported stolen from the City of Lynchburg over the weekend. Bedford County Sheriff’s deputies, Campbell County Sheriff’s deputies, Virginia Conservation Police and officers from the Lynchburg Police Department are searching for the black male. A K-9 from the Lynchburg Police Department is also assisting with the search. Anyone with information on this crime can call the Bedford County Sheriff’s Office at 540-586-7827 or Central Virginia Crime Stoppers at 1-888-798-5900 or go online to cvcrimestoppers.org. Enter your tip online at http://p3tips.com or use the P3TIPS app on your mobile device. Crime Stopper callers remain anonymous and could receive a cash reward up to $1,000.00.